Before kick-off, a UEFA official took me on football’s equivalent of a backstage tour. We started pitch-side, where Alan Smith (the old enemy from his Arsenal days) was doing a spot of punditry. Later the Shelf-side fans would sabotage his updates with boos and whistles and chants of “Who are ya! ?” The ground was empty apart from stewards and a group of police sat in the lower tier of the Paxton Road end getting instructions for the evening. I overheard that there was “a medium risk of spontaneous disorder”. Needless to say organisation is meticulous. On match days everything down to the waving of the star-spangled flag in the centre circle is synchronised across the continent. Next stop was Sky’s match centre where the game would be broadcast in 2D and 3D. I had dismissed the additional dimension as a headache-inducing gimmick, but the engineers replayed the goals from the match against Inter. With the glasses on it is essentially a high-definition picture with added depth, and it was stunning. They shoot with wider lenses and edit to a more measured pace than the standard broadcast. The result looks like it was directed by Kubrick. Out of the bitter cold and into the warmth of the Champions Club, where displays include Dave Mackay’s 1961 league winners’ medal and Bill Nicholson’s solitary England cap. Martin Chivers, John Pratt, Ralph Coates, Tony Galvin and Martin Peters (the man who scored the other goal in the 1966 World Cup final), were in attendance. Pat Jennings was also there. Big Pat said a few words of cautious optimism while we scoffed broccoli quiches, parsnip crisps and fishcakes. 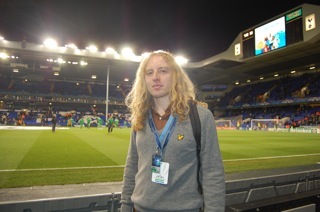 Already armed with a complimentary programme and printed team sheet (including temperature and humidity), I was also presented with an Adidas Finale official Champions League ball complete with authentic White Hart Lane dirt and scuff marks that I’d like to think were made by Luka Modric’s cultured feet. I downed a shot glass of gazpacho and headed to my seat in the West Stand. 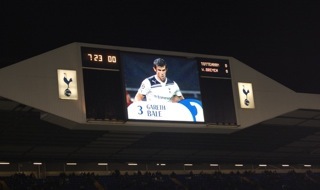 It was comfortingly close to the Park Lane end and they were in full voice, as were the travelling support. The Werder Bremen fans’ colourful repertoire included a chant to the tune of ‘Karma Chameleon’. On the pitch it was our most comprehensive victory of the season. The fixture in Germany was a hard-fought draw, but last night an out-of-form and injury-ravaged side rolled over for us. 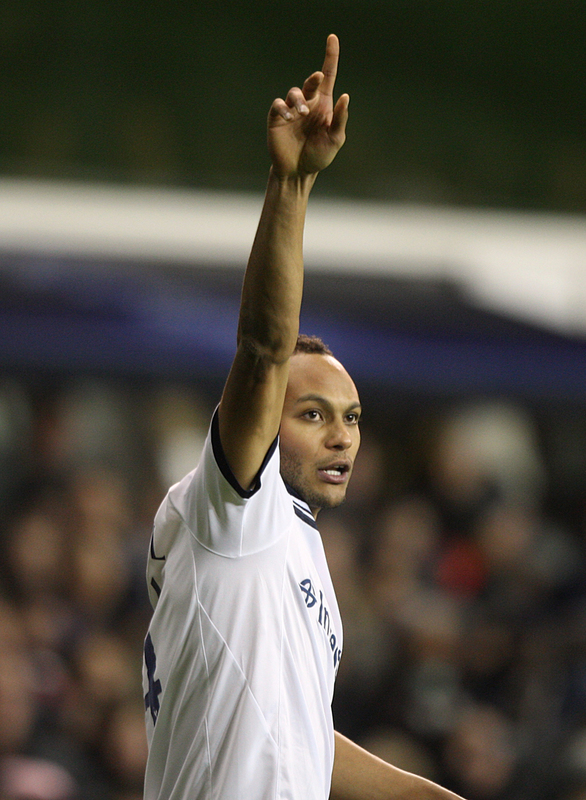 Younes Kaboul hit the opener from an Aaron Lennon cross – another for his scrapbook to sit alongside the winner in the North London derby on Saturday (I had to mention it once). At the stroke of half time Modric doubled the lead, getting hold of Peter Crouch’s knock-down and giving Bremen ‘keeper Tim Wiese no chance. We’d barely broken our stride. Marko Marin was fantastic in the previous game and bright in the first half, but completely faded in the second as the Spurs defence, marshalled by William Gallas, kept its first clean sheet since August. With ten minutes to go Crouch made it 3-0 after Lennon had nutmegged Dominik Schmidt and cut the ball back from the byline. Lennon had his best game since 2009 and it was nice to see players other than Gareth Bale, who had a penalty saved, and the absent Rafael van der Vaart, securing the points and getting the plaudits. Qualification for the knockout stages of the Champions League has proven quite straightforward and back in the Champions Club we celebrated progression with doughnuts and chocolate tarts, and plates of wieners, presumably consolation for the travelling Germans. Heineken flowed freely and the runner-up in the prediction competition took home a keg of it. Phil Beal, a UEFA Cup winner with Spurs in 1972, talked up the positives of keeping a clean and sheet and the merits of going on to win the group, while Paul Allen praised Lennon and Bale and reminisced about that magnificent victory over Inter Milan. After a couple of barren decades it seems the glory nights could be making a return to White Hart Lane.